Hilton Head Plantation is one of the oldest and largest residential communities on the Island. While residential areas are gated and private, there is public access into the plantation that allows locals and tourists to visit restaurants, golf courses, and other public facilities. 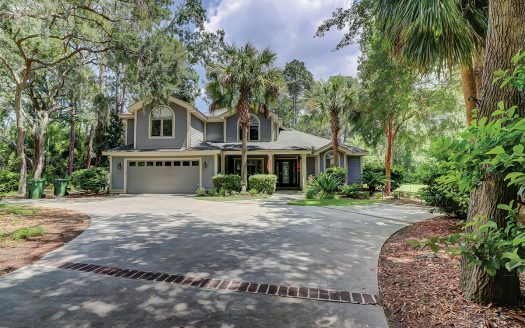 Hilton Head Plantation real estate listings cover the spectrum from moderately priced to high priced homes. This is a great community for those that enjoy an active lifestyle. With four golf courses (one private), tennis, Recreation Center, Dolphin Head Beach Park, natural trails, playground, and more there are plenty of activities for all ages. Skull Creek Marina is offers 158 slips for rent or purchase and offers a boat yard, fuel, and pump-out station. 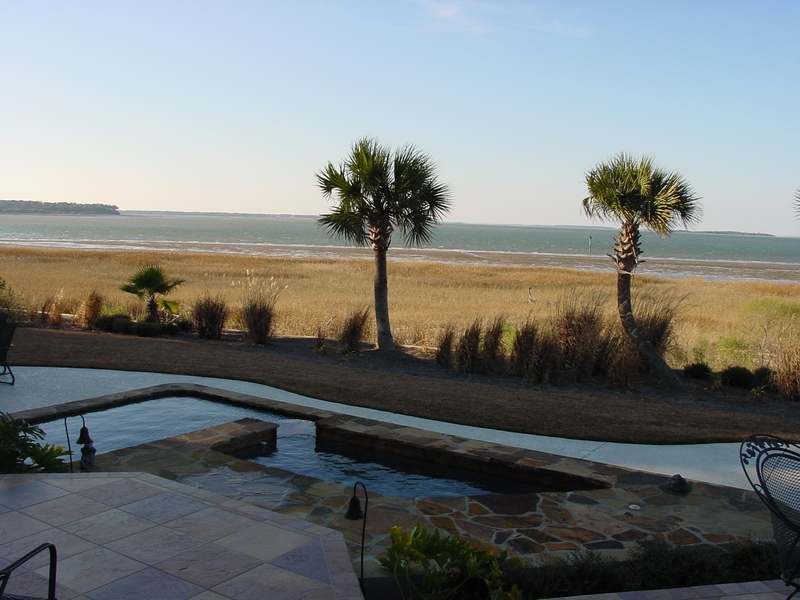 With more than 4,000 sprawling acres on the Island’s northern tip, it’s Hilton Head’s second largest planned community. Sheltered between Port Royal Sound and the U.S. Intercostals Waterway, the plantation offers two miles of sandy beaches on Port Royal Sound, and a marina to charter a boat or dock one of your own. Residents enjoy six miles of biking and jogging trails, two nature conservancies, a central recreational facility, waterfront playground, one four star restaurant, community swimming pool, a common gardening area, 12 tennis courts plus four 18-hole golf courses. Close to schools and shopping. Most club activities are held in the Plantation House within the Spring Lake Recreation area. While new clubs form often, those in existence now include: Gourmet Club, Dance Club, Newcomers Club, Woodcarvers, Women’s Club, Green Thumbers, Fishing Club, Bridge Club and many more. Low impact aerobics, Tai Chi and other fitness classes are regularly held for a small fee. An updated list of clubs and events can be found in Plantation Living, the monthly newsletter for residents. After years of planning and development, this residential community has evolved into a rich blend of diverse neighborhoods. While club activities and recreational opportunities abound, neighborhoods within the plantation provide an additional source of friendship, recreation and community. 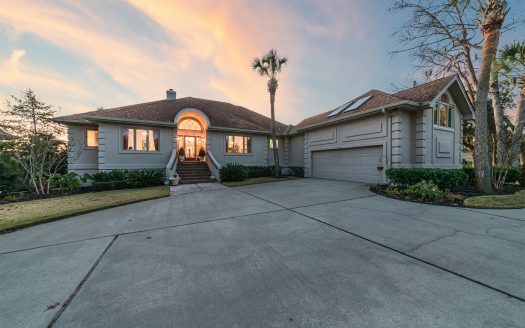 Each neighborhood within its gates is as unique as the plantation itself, offering waterfront homes and villas, single homes with golf course or lagoon views and homes clustered within wooded settings. While amenities vary from one neighborhood to the next, all are within biking distance to a pool or a clubhouse via the intricate system of biking and jogging trails throughout the plantation. Hilton Head Plantation is the largest community on the island. With that, there are many types of properties to choose from in various price ranges. Since no weekly rentals are permitted, it has become a community of primary residents and second homeowners with a cross section of ages. Because it is nearly built out, it is very desirable for someone who prefers an established neighborhood to pioneering in a new development. Bounded on one side by the intra-coastal and on another by Port Royal Sound, boating opportunities and outstanding views are available. Lots of golf, tennis, and much more. There is also a retirement community within the gates.